Yesterday, I spent the entire day doing Blog Admin, which is apparently a “thing” you have to do when you are a blogger! The entire day I was trying to enhance my blog appearance by having excerpts (It took me an hour to first figure out the “summary thing” I wanted was actually called “excerpts”) on my home page instead of the complete post. Yes, the entire day (in between entertaining Baby Z)! Because that is how illiterate I am when it comes to blog admin. I came as close to changing the entire theme of my blog, so you can imagine how hopeless I was feeling by that point! In the end I gave up scrolling through all the foreign computer language on the internet and whatsapped my techy genius cousin back in England, who proceeded to give me a solution that worked. Hooray! Except…this was the same “solution” that I had in fact tried out earlier in the day,only it had not worked earlier because I had not clicked Update. You can imagine my frustration of having wasted precious time that I could have spent writing a blog post instead! I guess what I am trying to say in this post is that blogging isn’t as easy as it sounds, but I have learnt so much already. Most importantly though, I am still learning, and I really enjoy that. I know that I have only touched the tip of the iceberg when it comes to blogging. There is still A LOT of techy stuff to get frustrated over learn. Blogging has been such a steep learning curve for me, and I am so proud to have acquired all these new skills and learn more and more about the computer world each day! Also in case I have one of those Blog Admin fail days again, I am going to have that techy genius cousin of mine on speed dial! 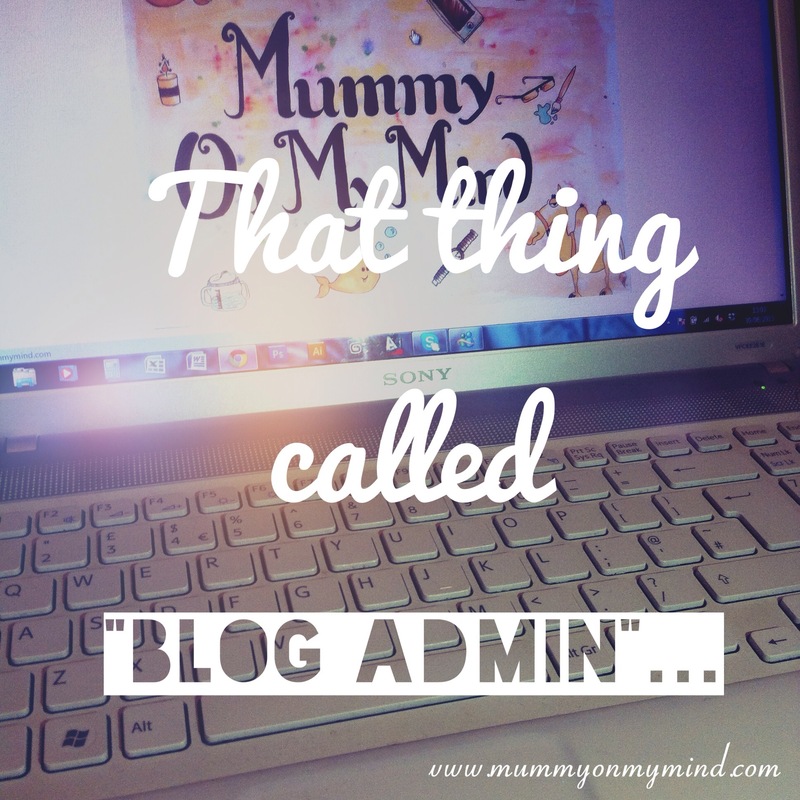 Blog admin is a massive headache. You can (un)happily spend hours doing something that looks like it should have take five minutes. Demoralising isn’t the word! That is so true!! I always tell myself I can get it done in a few minutes, but in reality I spend all day on it and yet feel so unproductive by the end of it all!! Tell me about it. I’m doing it now (amongst other things!). Haha I felt like such a fool!! Admin days are definitely not the most enjoyable part of blogging! Haha thanks! I am learning all kind of new things each day, mostly from other great bloggers! Haha I am actually impressed that you can block out the blog admin and do the writing, which is the main purpose after all! I find myself getting caught up in the tech stuff, when I should in fact be writing a good post!! WordPress is still pretty user friendly. I started off with Blogspot and that was far more scary! Please can I have your techy genius cousin’s number? I need and want to go self hosted but I’m scared everything will just disappear. Haha he will require lots of chocolates in return!! I also have the same fear as you by the way about self hosting. Good luck though, and make sure you back up everything before even attempting to do such a thing! Haha glad there are others who understand! Thanks for hosting! ? MY boyfriend is a techy, but I love the fact I have managed to research Html for myself and impress him haha. I agree thought blogging isnt just write and post. Haha I’m sure he was pleasently surprised at that! Thank goodness for the internet, although it can make things ten times more difficult too sometimes! Awww sometimes blog admin stuff is SO frustrating isn’t it!!!! I definitely still have so much to learn too, it’s amazing how much time needs to be dedicated to things that aren’t actually writing a blog post to be a blogger!! Yes, I agree! I need to remind myself from time to time to get my focus back on writing posts rather than do blog admin stuff! It wasn’t until recently that I realized how much my career in IT helped me with the “behind the scenes” blog stuff. Thanks for linking with #TwinklyTuesday! That must have been such a great help indeed! Thanks for hosting! ?